Alastair Cook was given a fitting sendoff after he signed off his Test career with one last century in the final innings on Monday. Joe Root spoke about how he considered that a century was written in the stars for Alastair Cook. It was indeed. 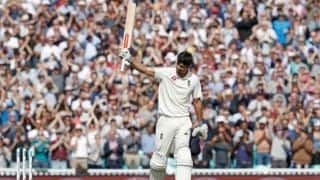 Time stopped as Cook capped off his Test journey with a fitting climax – a century in his final innings and that too against the world’s top-ranked team. The 19000+ strong crowd at The Oval rose in unison. The standing ovation lasted an eternity. 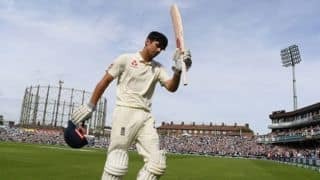 That moment alone was a testament to the blood and sweat England’s most prolific Test batsman had given for his team in his 12-year long career. And when he walked back after being out on 147, each member of the Indian cricket team rushed to him, shaking his hand. Nobody wanted to miss that chance. And not just because he has scored 12000+ runs in Test cricket. Not even because he’s Test cricket’s fifth highest run-getter. And not just because he had just hit his 33rd century in the format. It was an honest acknowledgment of the impact and the legacy the 32-year-old has left on the game. The last of his kind – the analog man in a digital world. The applause didn’t seem to end after an overthrow from Jasprit Bumrah resulted in Cook reaching three figures. After he had acknowledged his teammates and the crowd and soaked in the adulation, it was time to focus again. Indian fielders were ready. There was job to be done. But his family, friends and the thousands other fans gathered on Day 4 of the fifth Test thought differently. The roar and clapping continued. The game paused for a minute again. Cook smiled and raised his bat again. Surreal. Cook couldn’t have asked for a better sendoff when he revealed his intentions of ending his Test career last Monday. “There’s a few of my friends here as well so for that all to happen today and every reception I’ve had over the last four days it’s just been incredible, even that last couple of overs when the whole crowd were singing my Barmy Army songs, incredibly special. 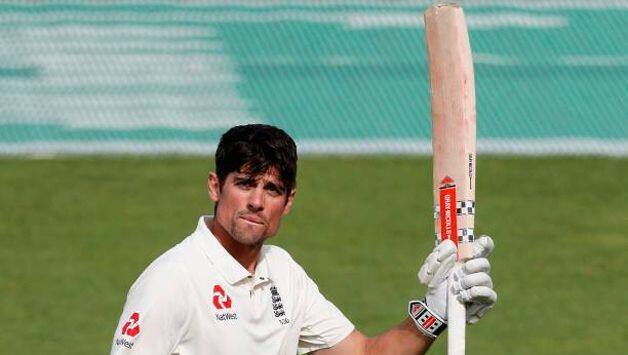 “On a purely selfish point of view I couldn’t have asked for a better week for me so yes on that side but obviously there have been bigger things in more important games that have meant more,” Cook said. Cook scored 71 in the first innings and 147, aggregating 218 in his final Test. Has the thought of rethinking his decision to retire crossed his mind. Cook added though it’s a big decision to end his career after 161 Tests, he knows it’s the right time to go. “But it’s obviously a big decision because chasing your dreams, playing for England is all I’ve ever really known. When you know it’s right, it’s right. This is just the icing on the cake,” he said.